Hatay Province (Turkish: Hatay ili, [ˈhataj]) is a province in southern Turkey, on the eastern Mediterranean coast. The administrative capital is Antakya (Antioch), and the other major city in the province is the port city of İskenderun (Alexandretta). It is bordered by Syria to the south and east and the Turkish provinces of Adana and Osmaniye to the north. 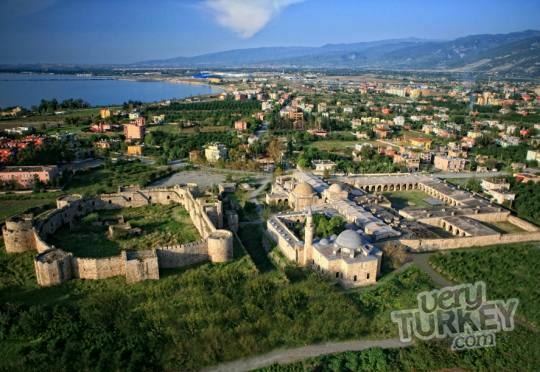 The province is part of Çukurova (Cilicia), a geographical, economical and cultural region that covers the provinces of Mersin, Adana, Osmaniye, and Hatay. There are border crossing points with Syria in the district of Yayladağı and at Cilvegözü in the district of Reyhanlı. Sovereignty over the province remains disputed with neighbouring Syria, which claims that the province was separated from itself against the stipulations of the French Mandate of Syria in the years following Syria's independence from the Ottoman Empire after World War I. Although the two countries have remained generally peaceful in their dispute over the territory, Syria has never formally renounced its claims to it. Despite this, a Turkish community remained in Alexandretta, and Mustafa Kemal said that Hatay had been a Turkish homeland for 4,000 years. This was due to the contested nationalist pseudoscientific Sun Language Theory prevalent in the 1930s in Turkey, which presumed that some ancient peoples of Anatolia and the Middle East such as the Sumerians and Hittites, hence the name Hatay, were related to the Turks. In truth, the Turks first appeared in Anatolia during the 11th century when the Seljuk Turks occupied the eastern province of the Abbasid Empire and captured Baghdad. Resident Arabs organised under the banner of Arabism, and in 1930, Zaki Alarsuzi, a teacher and lawyer from Arsuz on the coast of Alexandretta published a newspaper called 'Arabism' in Antioch that was shut down by Turkish and French authorities. On 2 September 1938, as the Second World War loomed over Europe, the assembly proclaimed the Hatay State. It lasted for one year under joint French and Turkish military supervision. 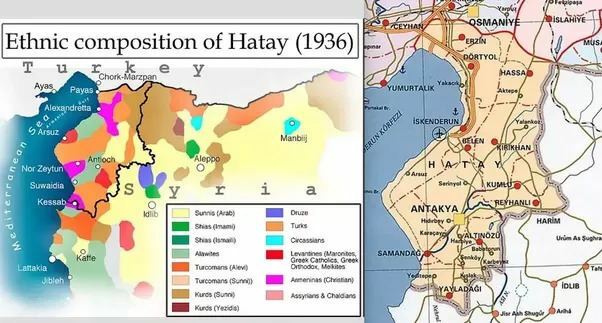 The name "Hatay" itself was proposed by Atatürk, and the government was under Turkish control. The president Tayfur Sökmen was a member of Turkish parliament elected in 1935 (representing Antalya), and the prime minister Abdurrahman Melek was also elected to the Turkish parliament (representing Gaziantep) in 1939 while still holding the prime-ministerial post. On 29 June 1939, following a referendum, Hatay became a Turkish province. This referendum has been labelled both "phoney" and "rigged", and a way for the French to let Turks take over the area, hoping that they would turn on Hitler. For the referendum, Turkey crossed tens of thousands of Turks into Alexandretta to vote. These were Turks born in Hatay who were now living elsewhere in Turkey. In two government communiqués in 1937 and 1938, the Turkish government asked all local government authorities to make lists of their employees originally from Hatay. Those who listed were then sent to Hatay to register as citizens and vote. The Hassa district of Gaziantep, Dörtyol district of Adana and Erzin were then incorporated into Hatay. As a result of the annexation, a number of demographic changes occurred in Hatay. During the six months following the annexation, inhabitants over the age of 18 were given the right to choose between staying and becoming Turkish citizens, or emigrate to and acquire citizenship of French mandated Syria or Greater Lebanon. If choosing emigration, they were given 18 months to bring in their movable assets and establish themselves in their new states. Almost half of the Sunni Arabs left. Many Armenians also left and 1,068 Armenian families were relocated from the six Armenian villages of Musa Dagh to Beqaa Valley in Lebanon. Many of the Armenians had been prior victims to the Armenian Genocide committed by Ottoman Empire that had fled for their lives to the French Mandate of Syria. The total number of people who left for Syria is estimated at 50,000 including 22,000 Armenians, 10,000 Alawites, 10,000 Sunni Arabs and 5,000 Arab Christians. 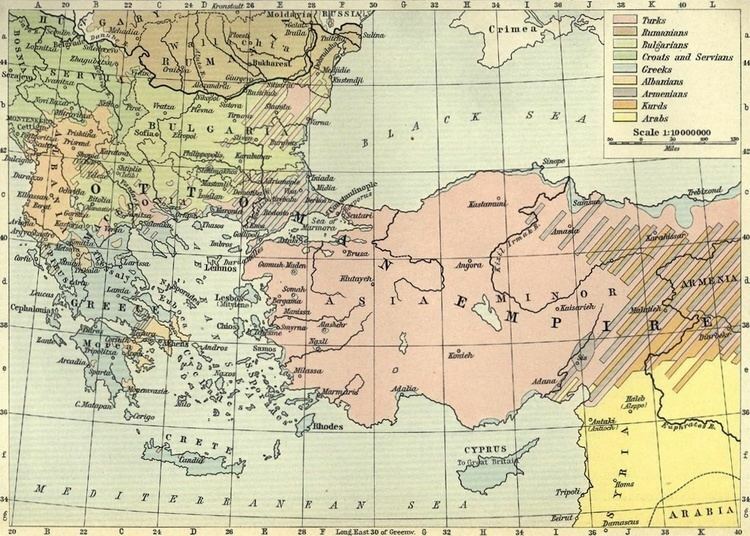 In Ottoman times, Hatay was part of the Vilayet of Aleppo in Ottoman Syria. After World War I, Hatay (then known as Alexandretta) became part of the French Mandate of Syria. Unlike other regions historically belonging to Syrian provinces (such as Aintab, Kilis and Urfa), Alexandretta was confirmed as Syrian territory in the Treaty of Lausanne agreed upon by Kemal Atatürk; although it was granted a special autonomous status because it contained a large Turkish minority. However, culminating a series of border disputes with France-mandated Syria, Atatürk obtained in 1937 an agreement with France recognizing Alexandretta as an independent state, and in 1939 this state, called the Republic of Hatay, was annexed to Turkey as the 63rd Turkish province following a controversial referendum. Syria bitterly disputed both the separation of Alexandretta and its subsequent annexation to Turkey. Syrians hold the view that this land was illegally ceded to Turkey by France, the mandatory occupying power of Syria in the late 1930s. Syria still considers it an integral part of its own territory. Syrians call this land Liwa' aliskenderun (Arabic: لواء الاسكندرون‎‎) rather than the Turkish name of Hatay. Official Syrian maps still show Hatay as part of Syria. Majority of population adheres to Islam belonging to either Alawi branch of Shia Islam or Sunni Islam. But other minorities are also found including Syriac Orthodox, Syriac Catholics, Maronites, Antiochian Greeks and Armenian communities. The village of Vakıflı in the district of Samandağ is Turkey's last remaining rural Armenian community while Arabs form the majority in three districts out of the twelve: Samandağ (Suwaidiyyah) (Alawi), Altınözü (Qusair) and Reyhanlı (Rihaniyyah) (Sunni). Unlike most Mediterranean provinces, Hatay has not experienced mass migration from other parts of Turkey in recent decades and has therefore preserved much of its traditional culture; for example, Arabic is still widely spoken in the province. To celebrate this cultural mix, in 2005 "Hatay Meeting of Civilisations" congress was organised by Dr Aydın Bozkurt of Mustafa Kemal University and his "Hatay Association for the Protection of Universal Values". During the Syrian Civil War, the province experienced an influx of refugees. According to official figures, as of 21 April 2016, 408,000 Syrian refugees lived in the province. Hatay province was divided into 12 districts: Altınözü, Antakya, Belen, Dörtyol, Erzin, Hassa, İskenderun, Kırıkhan, Kumlu, Reyhanlı, Samandağ and Yayladağı. Hatay is warm enough to grow tropical crops such as sweet potato and sugar cane, and these are used in the local cuisine, along with other local specialities including a type of cucumber/squash called kitte. Well-known dishes of Hatay include the syrupy-pastry künefe, squash cooked in onions and tomato paste (sıhılmahsi), the aubergine and yoghurt paste (Baba ghanoush), and the chickpea paste hummus as well as dishes such as kebab which are found throughout Turkey. 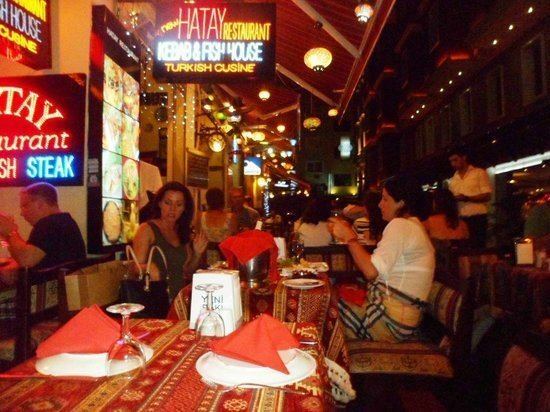 In general the people of Hatay produce many spicy dishes including the walnut and spice paste muhammara), the spicy köfte called oruk, the thyme and parsley paste Za'atar and the spicy sun-dried cheese called Surke. Finally, syrup of pomegranate (nar ekşisi) is a popular salad dressing particular to this area.